Zen is a Japanese approximation to the Sanskrit dhyana, which has in Yoga the technical meaning of stilling and focussing the mind. When after long practice all associations have dropped away and the mind is identified with the subtle constituents of the object, the state is called Samadhi of a particular kind. In that Samadhi there finally comes a flash of intuitive knowledge or Prajna, which reveals the truth of the object of meditation. Prajna is knowledge not coming by the routes of sense-perception, inference or authority: it is immediate and invariably correct. Buddhism adopted Yoga methods, and dhyana discipline was the final step before realization. The Zen sect, founded in China by the Indian patriarch Bodhidharma, lays special emphasis on meditation practice, and claims a special tradition handed down ‘from heart to heart’ from the Buddha himself. The main tenets of Buddhism and of Zen be found in Abbot Obora’s Heart Sutra commentary in book, and they need not be summarized here. In Zen as in other mystical schools there are spiritual crises, and the teacher has a very important role in resolving them. The teacher does not normally take on a student unless the latter displays great resolution and energy in his inquiry. This is technically called Great Faith. After some time the disciple’s hidden doubts and reservations appear in the form of a crisis, generally centring round some point of the teaching or some action of the teacher. When the problem fills all the waking hours without a moment’s forgetfulness the stage is called the Great Doubt. The working of the mind ceases. Finally there is a flash which is called in Japanese satori or Realization. The first part, a commentary on the Heart Sutra, is illustrated by incidents from behind-the-scenes in modern Japanese Zen monastery life. What happens, for instance, when a terrible mistake is made during a solemn ceremony? 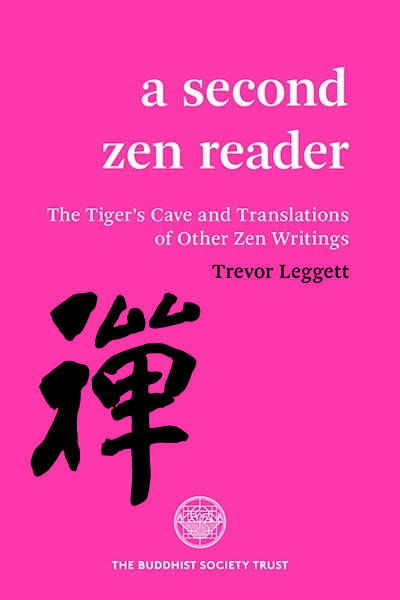 Every page of this profoundly erudite book is written with compelling insight…There are five sections, each reflecting in depth a different Zenic emphasis of a particular Master or School of Zen …The most important section is the first, an inspired and inspiring commentary on the Heart Sutra … the very kernel of Mahayana Buddhism.